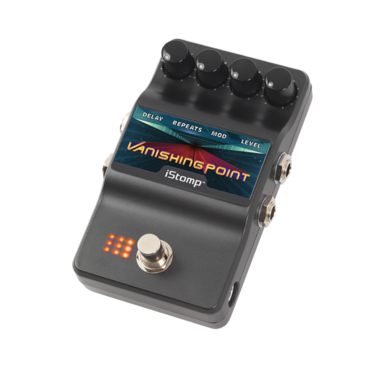 The Vanishing Point Modulated Delay e-pedal gives you the beloved sound of those high-end rack delays that lightly modulate the repeats as they decay. 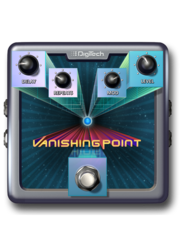 Vanishing Point sounds similar to a chorus run after a delay effect when it is actually quite different. 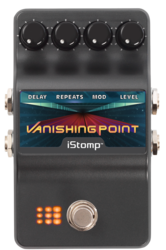 With Vanishing Point, only the delay repeats are modulated leaving your dry guitar sound untouched. For beautiful clean chordal work, turn the Mod knob above the half way point. For adding just a hint of animation to your overdriven guitar solos, a small amount from the Mod knob will work wonders. 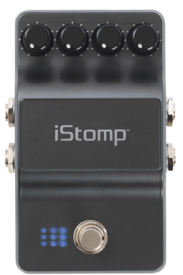 DELAY - Adjusts the delay time from 20ms to 2 seconds. 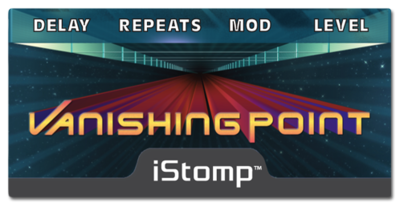 REPEATS - Adjusts the number of delay repeats. MOD - Controls the modulation amount in the repeats.